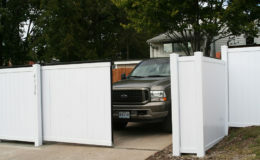 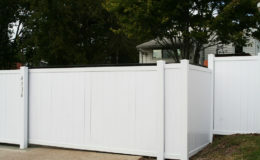 This very simple vinyl gate has been mounted on an aluminum frame for support. 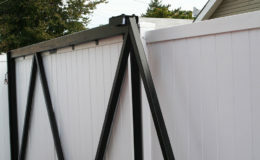 Our smallest model, the CGS-250.8M was plenty for this gate. 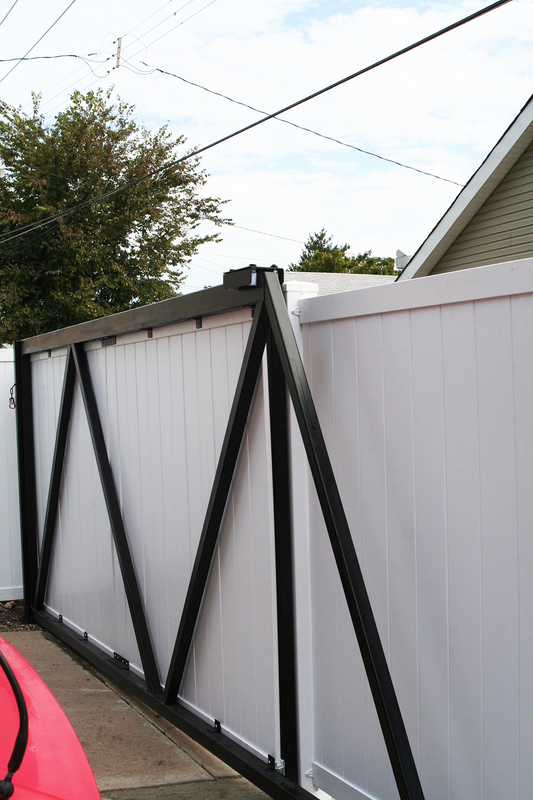 The gate did not need a long counterbalance. 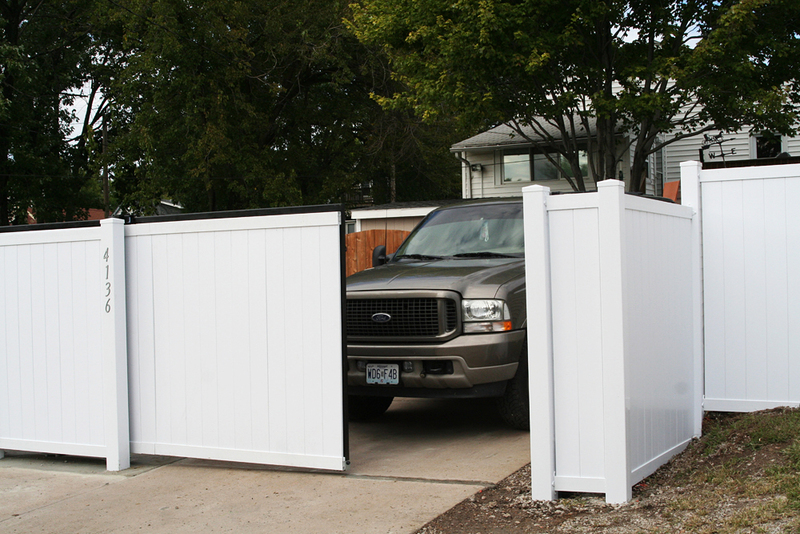 Also note how close to the ground the gate is installed. 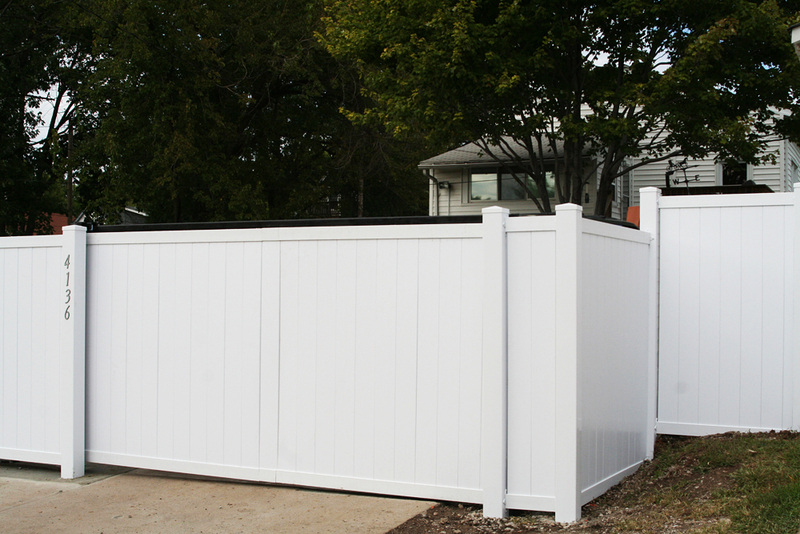 The hardware also accommodates for the slightly sloping driveway.